We sell grid panels and accessories. Our panels are manufactured from 6mm wire and have a mesh pitch of 3" (75mm). All Panels are 2ft width. You can select from individual items or complete systems. Need your grid panel to match your brand colour? No problem! Call us to discuss your colour requirements: 023 92632633. Minimum order quantities apply. To further expand the range and versatility of Grid we now manufacture Acrylic Card Angled Shelf Displays. 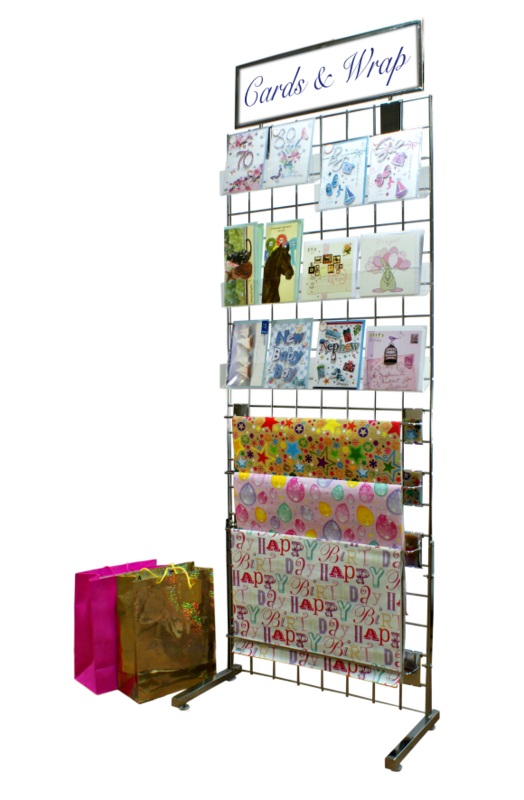 Available in both 300mm and 600mm widths, these shelves are an ideal solution for Greeting Card, Print or Photography Displays including multiple card sizes.